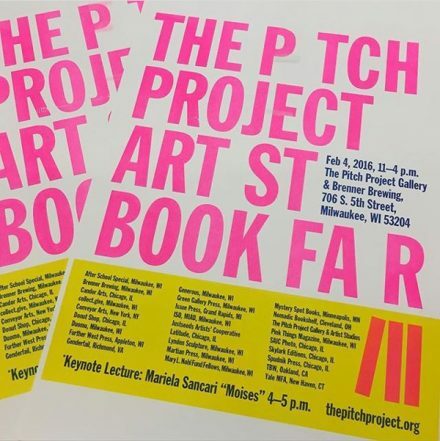 Free and open to the pub­lic, The Pitch Pro­ject Art Book Fair is an event for artist’s books, cata­logs, mono­graphs, peri­od­ic­als, and zines. More than 25 inde­pend­ent presses, artists, col­lect­ives, and uni­ver­sit­ies from 10 cit­ies will show their works. In occa­sion of the fair Mar­i­ela San­c­ari will do a key­note lec­ture on Feb­ru­ary 4th, from 4 to 5pm.